So after two and a half years of waiting (or eight plus years, depending if you’ve been waiting for an English version since its inception), NCWest has finally given North America and Europe a taste of the martial arts madness that is Blade & Soul (B&S), an Asian-themed fantasy MMORPG created by in-house development studio Team Bloodlust and originally headlined by popular Korean artist Hyung-tae Kim, best known for his work on the Magna Carta series. After NCWest revealed an announcement in 2012, the game was put on a hiatus for very undisclosed reasons (although, anyone that has been paying close attention to NCSoft’s track record can easily figure out what caused such a delay). Regardless, NCWest is finally ready to give B&S its chance to shine here in the west, and they’ve been going full force with weekly news updates, livestreams and promotions galore. In order to drum up some hype, NCWest is hosting five closed beta tests for anyone that purchases a founder’s pack off their website, or for anyone that’s lucky enough to get their hands on a closed beta key. After years of watching promo videos, guides, wikis and competitive tournaments on YouTube, I was ready to jump into the action. For starters, the game starts up with players being able to choose up to handful of classes among four different races: The courageous Jin (humans), the powerful Gon (Big humans), the mysterious Yun (Tall skinny female humans) and the diminutive Lyn (Tiny humans with animal ears and tails). Recreating a younger version of myself. Sure, it’s kind of disappointing that the race selection only features variations on humans with some defining body physiques. 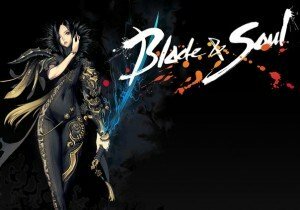 Luckily (for B&S) the character creation options will more than make up for it, because without a single doubt in my mind, Blade & Soul features one of the best character creation systems in any MMORPG out there. …or nightmares, if you’re into that sort of thing. You could easily spend hours upon hours tweaking your character creations. I think the development team really wanted players to, because they also included an option to save your character’s appearance into these neat little jpeg files that can easily be reused, as well as shared by other players. Go ahead: Save this picture below and drop it into your BNS picture folder, then reload it using the character creator. Cool, huh? The character creation tools are so impressive that one may even forget that there’s still a legitimate game to be played here. I could spend this entire article talking about character creation in B&S, but that wouldn’t make for a very enjoyable article, so I went with creating this Jin Kung Fu Master here and dived in. At the start of the game, you’re given a fairly short tutorial that will teach players how to interact with objects in the game world, the art of windwalking (also known as Qing-Gong), basic combat attacks, and the revive system. All the while teaching players more about the Hongmoon school, the students that train there, and the old Lyn master who runs the school. After learning all these gameplay elements, you’re then treated to several cutscenes showcasing the wonderful demise of your school, all thanks to an evil women named Jin So Yeon and her crew. Your character watches everyone get destroyed, including the master, and then the player’s quest for vengeance begins, but not after getting knocked off a huge floating island. No ambiguity here. These people are bad dudes. From here, the tutorial extends itself into a few more quests where players meet up with soldiers known as the Bamboo guard, and must defend a beachside from thugs and pirates known as the Blackram. This is where players can meet up with other players for the first time as they all work together to push back the Blackram thugs and rescue a few Bamboo guard members on the side. Only after that and a few more tutorial quests that teach the upgrade system and how Soul Shields work (also known as Bopae) will you gain an ounce of freedom in how your game plays out. It’s absolutely a good time to point out that this game is beautiful on a level off our typical MMORPG scale. Yes including games that went into development after this game was already released. Sure, there is are some textures that could use a high resolution update, but the visual effects, skyboxes and overall appearance of the environments will make for some tasty eye candy. Given the depths of this beauty, I naturally broke from the quest line chain to attempt to break free of the typical map. Unfortunately even with the insane jump sprint capabilities offered in Blade & Soul, I was prevented from any kind of off-the-map exploration because there’s invisible walls placed EVERYWHERE. It’s incredibly annoying and disappointing. Why put in a kickass movement system when players can’t make use of it anywhere other than the paths already laid out for us? Not to mention that movement system cannot be used in combat for anything beyond setting up a flashy first move of engagement. Simply put: Don’t bother trying to venture off the beaten path using your amazing movement abilities, because the game won’t let you. Despite this, the combat system stands well on its own, as it provides a unique mix between combat found in modern MMORPGs and fighting games. Players can perform various different combo attacks along with an array of CC abilities such as stuns, knockdowns, grabs, launchers and more. And each hit performed is very satisfying to land on an opponent, as visual and audio feedback with each attack feels incredibly heavy and solid. From my experiences of playing from level 1 to 15, I was already feeling like a complete martial arts hero, executing powerful slams, ground tackles, one-inch punches and other dazzling moves that would make the late Bruce Lee proud. As nicely animated as this was, there seemed to be just enough compromise on animation cancelling to make micromanaging fighting fans find the battles rewarding. Mob enemies in the game, although fairly easy to defeat, do a great job of scaling up the challenge and keeping players on their toes. They will start off by attacking slowly and blindly by using attacks with visual effect tells or large telegraphs that can be dodged by simply stepping out of the way. Later on, they add in new layers of challenge, such as using their own blocks and counter attacks, so players will always have to be paying attention to an enemy’s current state if they wish to end battles quickly. Visuals in this game aged like a fine wine. While some characters actually sounded pretty decent, most of the voice acting in the game can only be considered as absolutely horrendous. Some character’s voices sound too forced, others sound like no effort was put forth, and many, many characters speak various dialects of English that throws off the whole Asian fantasy theme. Even characters that are supposedly related to each other speak different dialects. It’s almost as if the developers asked random NCWest employees to step in and voice most of the characters to save time and money on quality voice work. I was hoping the VO for this game was going to be “cheesy”, much like how voice acting was presenting in those old 1980s Kung-Fu flicks. But what I got instead was something much, much worse. Even though NCWest has mentioned that the VO is only temporary and will be updated sometime before the official launch, the lack of quality VO in the closed beta really shook me out of the experience, and at one point, I simply stopped following the storyline because of it. Overall my time spent playing the early stages of the game was very enjoyable and exciting, due to the top-tier character creation tools, good looking environments, and the combat shining brightly very early on in the game. For such an engaging title, it still boggles my mind that NCWest decided to hold this game back for so long, because if it was released in NA/EU territories much sooner, it could have potentially rocked the gaming market back then. There’s several other aspects of the game that I wasn’t able to cover in this impressions, such as the PvE instances and the PvP scene, so I will be focusing my time and attention on those aspects for the next few closed beta tests. Until then, keep your bookmarks tabbed to OnRPG for more info on Blade & Soul. Neverwinter: Underdark – the eighth expansion of the action MMORPG is live on PC, with Xbox One to follow in early 2016.